With a midday tweet on Thursday, President Donald Trump voiced his support of Israeli control over the Golan Heights, reversing decades of American policy. The move thrust the Golan Heights – a fertile plateau beside the Sea of Galilee that has been one of Israel’s quieter frontiers for a half-century – back into international headlines. In this file photo dated Oct. 11, 2018, an Israeli flag flies near the village of Majdal Shams in the Golan Heights. 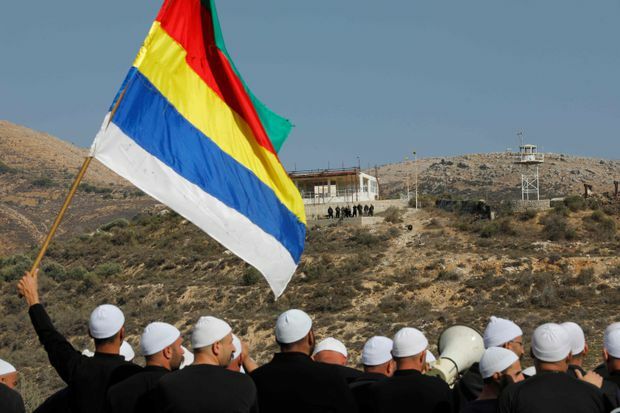 In this photo taken on Nov. 4, 2017, members of the Druze community use a megaphone to communicate with their Syrian Druze friends and relatives on the other side of the border. But overall, life in the Golan Heights has been relatively tranquil compared with other places on Israel’s frontiers. But Trump tweeted on Thursday that “it is time for the United States to fully recognize Israel’s Sovereignty over the Golan Heights,” adding that it was of critical importance to Israel and stability in the Middle East. His tweet came after pressure from Prime Minister Benjamin Netanyahu of Israel, and it could help shore up support for Netanyahu in the embattled leader’s bid for a fifth term in hotly contested elections scheduled for April 9. But in an interview on Thursday afternoon with Fox Business Network, Trump said that he had considered recognizing the Golan Heights as part of Israel “for a long time” and that his decision was not meant to boost Netanyahu’s electoral chances. U.S. Secretary of State Mike Pompeo shake hands with Israeli Prime Minister Benjamin Netanyahu in Jerusalem on March 21, 2019. Trump’s tweet was not entirely out of the blue. He has already recognized Jerusalem as the capital of Israel, moved the U.S. Embassy there from Tel Aviv and cut aid to Palestinian refugees. 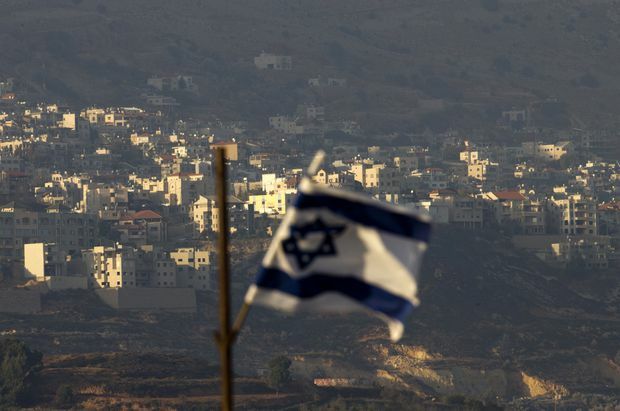 In November the United States voted for the first time against a symbolic resolution that the U.N. issues annually condemning Israel’s presence in the Golan Heights. Since 2011, Israeli officials have expressed relief that the Golan Heights has acted as a sort of buffer for the conflict in Syria, whose president, Bashar Assad, is supported by Iran. Syria’s ambassador to the U.N. in Geneva, Hussam Edin Aala, warned Wednesday against Israel’s “malicious attempts to exploit the situation and the latest developments in Syria and the region to consolidate the occupation” of the Golan Heights, the Syrian state news agency, SANA, reported. But critics of Assad have noted that although he and his government have frequently talked about “liberating” the Golan Heights, they have taken little action to do so in decades. On its own, Trump’s tweet is not likely to change things in the Golan Heights. There is no negotiation underway on the area’s status, nor any expectation that Israel is going to withdraw from it.